You guys know I love quotes. 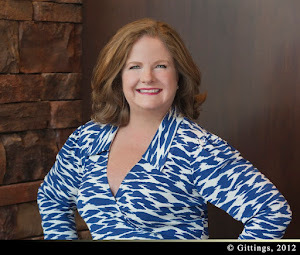 I've written about some of them before -- you can search this blog to read a few. And since I love quotes, I'm sure that you do too. NOTE: Not sure why that follows, but you are living in my world now, people. Or at least you live in the recesses of my brain. And since it's a special week, I'm giving you a gift of my love -- not just one quote, but two! I learned this quote just a few months ago while I was doing my online course with Brene Brown through Oprah. It is by Howard Thurman. 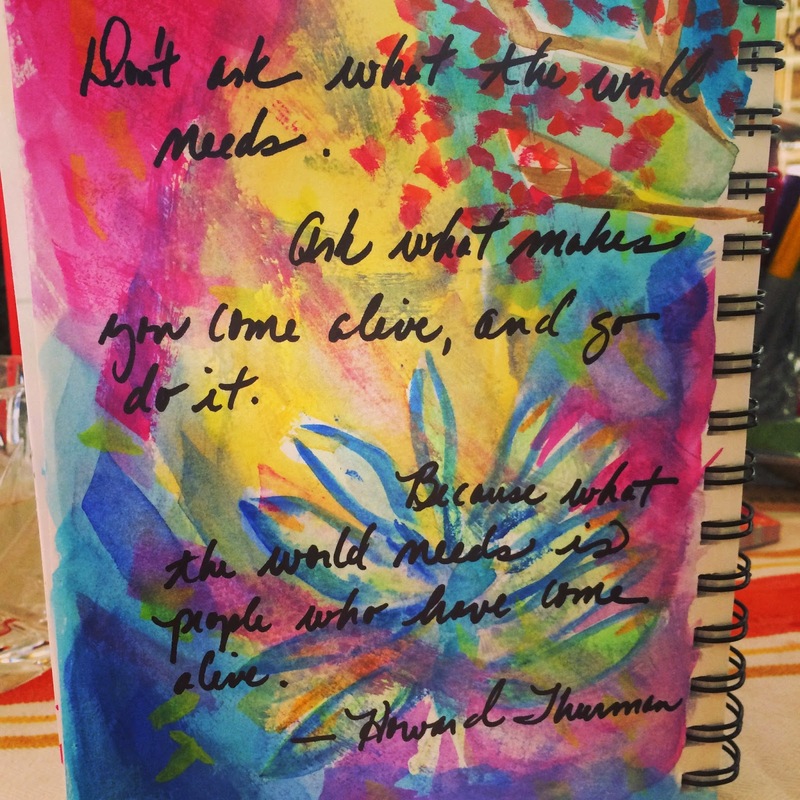 I love the Thurman quote so much I painted a picture in my journal and wrote it over the top. I use it as my cell phone wallpaper too. Here it is. NOTE: You didn't know that I was an artist, did you? Neither did I until I took Brene's course. I will add that my talented friend Camille Warmington has nothing to worry about -- I'm keeping my day job. My second favorite quote (and I tell people this one all the time) was on a sign in my friend Jane Browning's kitchen. Before Jane passed away, we played bridge at her home every Saturday, so I got to see it a lot and it always cracked me up. Money can't buy happiness, but it sure keeps the kids in touch. Ain't that the truth? Have a great day, friends!